This tour starts with a private transfer in a modern and comfortable vehicle from your accommodation to the city of Jerez. Along the way, your personal local host will set the context (historical, cultural and geographical) for this first stop by sharing with you some essential information about the city. Upon arrival to Jerez, you will be taken on a private walking tour of the old town. During this walk, your personal local host will explain the Moorish origins of the city. Afterwards, you will understand the transformations that the architecture, urban planning, social composition and overall character of Jerez experienced in the 13th century first, when it was conquered by the Christians, and later in the 19th century when its local wine became probably the most popular and fashionable drink in the world. This introductory walk will finish in a selected sherry bodega. There you will discover the history and the magical ageing process of sherry wines to later do the corresponding tastings. Sherry is an ideal wine to pair with food. So after visiting the winery it’ll be time to enjoy a tapas lunch in a selected local bar. There you will practice the art of pairing food with your favourite sherries. After lunch, you will travel to Cadiz, the oldest city in Western Europe. The drive from Jerez to Cádiz will offer you stunning views of the Atlantic Ocean and of the natural park of the bay of Cadiz. 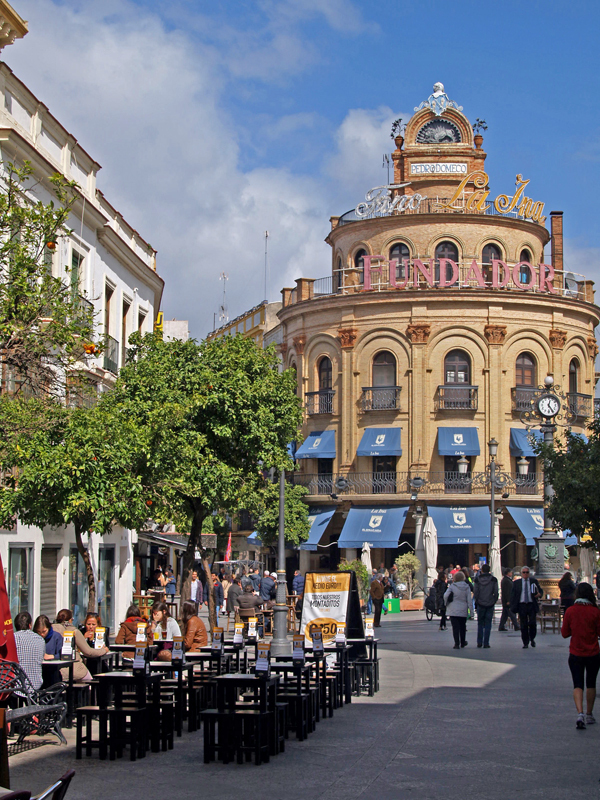 Upon arrival to Cadiz, you will start a walking tour of the old town. The first part of your tour will take you to discover the Phoenician origins of the city. You will then understand who the Phoenicians were, where they came from and what brought them to Cadiz. Your host will also explain what the Phoenicians brought and left in the city they then called Gadir. Later you will travel forward in time to the 18th century. It was then when Cadiz held the monopoly of all trade with America, formerly established in Seville. Cadiz flourished then with wealth, liberal ideas and stunning colonial houses. You will see beautiful evidence of that and finally you will travel back to your accommodation. This day trip is ideal for people staying in other locations in Andalusia and who wish to visit these two magical cities in one day. It includes private transportation in a modern and comfortable vehicle with A/C to and from your accommodation. Your personal local host and driver will pick you up in the morning and will drive you back in the late afternoon after sharing the wonders of Cadiz and Jerez with you. Prices: start at 115 Euros per person (incl. VAT) for a group of 8 people. Includes: private guide and driver throughout the day, all entrance tickets, admissions, tastings and a tapas and sherries lunch (3 tapas and 2 sherries (or other drinks) per person). Payment: Credit / Debit Card, PayPal or Bank Transfer.